A la prochaine Tignes Le Lac! Few friends heading for skiing soon asked for packing lists and tips. And I have to admit packing for cold weather with 2 kids is not quite a walk in the park, even for regular itchy feet relatively well organised like ours. My general take – try to fit everything into 2 big pieces of luggage and 3 handbags for parents and elder child – so he gets to carry his selection of tiny toys, water and snacks. 1.Parents: ski gear including gloves, ski socks (keeps feet warmer and boots bruises lighter), few pairs of tights, face mask and goggles (especially if you get to ski like us for a week at over 2000m and on top of glaciers at -28c), tight hats to wear under helmets. 2.Kid(s) skiing: 2 ski suits, I found the onesies very handy. Thick socks (helps to go with the child preferences – in our case Spiderman for an extra boost), tights, comfy sports trousers under the skisuit (very handy to be dressed appropriately for the kidsclub or inside and little effort to get rid of ski layer), few tops including thicker one, goggles, gloves and a couple of hats. Footwear wise we alternated between his wellies worn with thick socks and boots – nice but quite wet everytime R would spend a couple of hours rolling in the snow or sledging. 3.Baby (not skiing yet): one cute overall and a couple of layers: jeans, jumper, bib, gloves, hat, coat, socks, boots, goggles. Chalet wise I found leggings and top very comfy but wished i brought an extra wooly dress. The nights we went out at -10C I modelled my mum’s fur coat, thick hats, leathery legging and/or dress with 2 pairs of tights. Kids wise chalet was easy – same with the kidsclub so it helps to have 3/4 sets. Sleeping bag for baby and sleeping onesie for 3.5 years old also v handy, so u don’t have to constantly tuck them under blankets. In terms of gadgets these days we use 2 ipads (kids and one from the office), camera with 2 lenses and various chargers. The pram on a holiday with Esprit is optional, there will be lots in there; the sling/ baby carrier is very handy and may be sufficient. Foodwise even with amazing full board catering for kids, our baby still needs quite a bit of prep. If you are like us or simply don’t fancy trying on a holiday different formula – you’ll get supplies from home. In our case 3 big tins of milk powder, his regular medicine and some calpol, rice cakes (ideally not coloured so he doesn’t get creative with his clothes) and few pouches (handy on plane, bus and taxi). Dummy, few bottles, watercup, nappies and wipes also goes without saying. Not packing related but rather mountain, another topic is the altitude. Under 3 years over 3,000m is a no go, even if you have a cheeky monkey like ours, in love with snow, mountains and cable cars. So 2 years ago in Chamonix, we stuck to the village and its cute slopes, no Aiguille du Midi or other similar tricks. This year, at 3.5 years, one of the treats was Toviere cable car, that goes up to 2,700m and pleased to say it was a hit with both our son and his friend. Baby got to stay at his usual Esprit nursery, art classes and singing are much more age appropriate. For a great list of US ski resorts head to Alltherooms best ski resorts. For more ski packing inspiration – beginners included, head to Family Off Duty Skiing for beginners – Essentials for your first family ski trip. For more planning head to the Back Road Ramblers article on 5 Planning Tips for the Ultimate Family Ski Trip . Happy shopping, prep and hopefully soon ski holiday all! Hey Nicky, that sounds rather funny, I think we just have lots pretty much wherever we go ! the days of packing light are gone for now! Thank you! Ah wow, that is quite extraordinary not to see snow at all! Hope you get to enjoy soon, I am so fond of my childhood memories playing in white landscapes and lots of fresh snow – it’s magic! Great to hear Sarah and thanks for stopping by! Oh these are brilliant tips! We hope to go skiing at some point and I’ve never been so would have had no idea what to pack if I hadn’t read this. 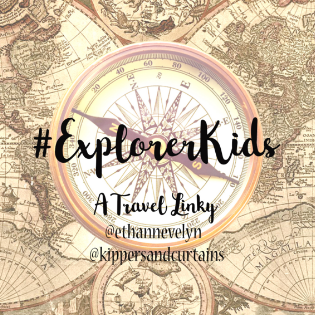 Thanks for linking up to #familytraveltips.